CLEARWATER, FLORIDA/USA - NOVEMBER 15, 2016: Unidentified people play beach volleyball on the sand. Clearwater is often ranked one of the best beaches in the United States. 4k00:12CLEARWATER, FLORIDA/USA - NOVEMBER 15, 2016: Unidentified people play beach volleyball, zoom out. Clearwater is often ranked one of the best beaches in the United States. 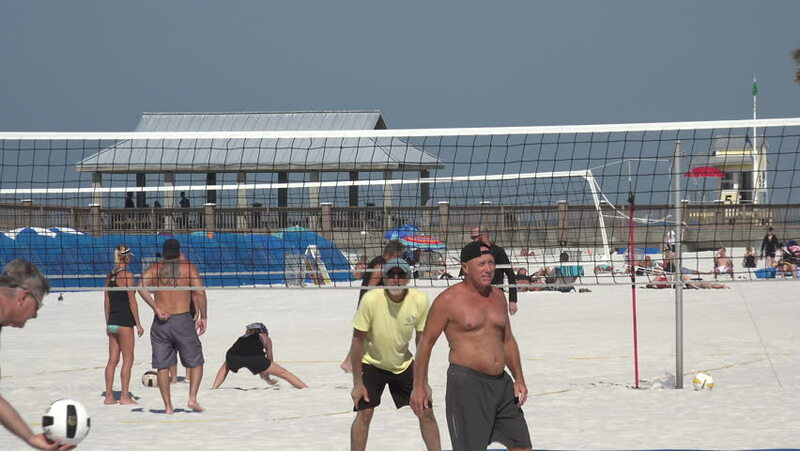 4k00:11CLEARWATER, FLORIDA/USA - NOVEMBER 15, 2016: Unidentified people play beach volleyball on a sunny day. Clearwater is often ranked one of the best beaches in the United States. sd01:301960s - Very good color footage of soldiers relaxing on a base in Vietnam, 1968.
hd00:15MOSCOW, RUSSIA - AUGUST 28, 2015: Riders warm up the horses before the performance in the indoor arena. 2nd International Exhibition "Horse Russia."